Nikolaus Harnoncourt (Johann Nikolaus Graf [Count] de la Fontaine und d’Harnoncourt-Unverzagt; 6 December 1929 – 5 March 2016) was an Austrian conductor, particularly known for his historically informed performances of music from the Classical era and earlier. Starting out as a classical cellist, he founded his own period instrument ensemble, Concentus Musicus Wien, in the 1950s, and became a pioneer of the Early Music movement. Around 1970, Harnoncourt started to conduct opera and concert performances, soon leading renowned international symphony orchestras, and appearing at leading concert halls, operatic venues and festivals. His repertoire then widened to include composers of the 19th and 20th centuries. In 2001 and 2003, he conducted the Vienna New Year's Concert. Harnoncourt was also the author of several books, mostly on subjects of performance history and musical aesthetics. 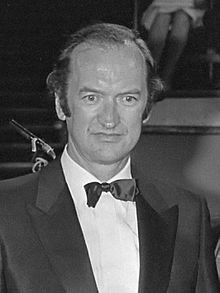 Harnoncourt made his guest-conducting debut with the Concertgebouw Orchestra, Amsterdam, in 1975. He continued as a guest conductor with the orchestra, including in several opera productions and recordings. In October 2000, the Royal Concertgebouw Orchestra (KCO) named him their Honorair gastdirigent (Honorary Guest Conductor). His final appearance with the KCO was in October 2013, leading Bruckner's Symphony No. 5. Harnoncourt was the focus of the annual festival of classical music Styriarte, founded in 1985 to tie him closer to his hometown Graz. He programmed the festival for 31 years. Events have been held at different venues in Graz and in the surrounding region. Harnoncourt met his wife Alice through their mutual interest in historically informed performances of Baroque music and co-founded the Concentus Musicus Wien. Their daughter is the mezzo-soprano Elisabeth von Magnus. Their two surviving sons are Philipp and Franz. Their third son Eberhard, a violin maker, died in 1990 in an automobile accident. Harnoncourt, Nikolaus (1993). Die Macht der Musik: Zwei Reden. Salzburg: Residenz Verlag. ISBN 978-3-7017-0827-7. Harnoncourt, Nikolaus (1997). The Musical Dialogue: Thoughts on Monteverdi, Bach, and Mozart. Portland, OR: Amadeus Press. ISBN 1-57467-023-9. ^ a b c d Barry Millington (6 March 2016). "Nikolaus Harnoncourt obituary". The Guardian. Retrieved 6 March 2016. ^ Munzinger-Archiv GmbH, Ravensburg. "Nikolaus Harnoncourt". Retrieved 6 March 2016. ^ James R Oestreich (6 March 2016). "Nikolaus Harnoncourt, Conductor and Early-Music Specialist, Dies at 86". The New York Times. Retrieved 7 March 2016. ^ Andrew Clements (18 April 2003). "Concentus Musicus Wien: A Celebration". The Guardian. Retrieved 12 August 2007. ^ Wolff, Christoph (July 1972). "Reviews of Records, Johann Sebastian Bach: Musikalisches Opfer". The Musical Quarterly. 58 (3): 496–501. doi:10.1093/mq/LVIII.3.496. Retrieved 12 August 2007. ^ Glover, Jane (1975). "Review of Monteverdi's L'incoronazione di Poppea". The Musical Times. 116 (1590): 715. ^ Cyr, Mary (April 1973). "Reviews of Records, Rameau: Castor et Pollux". The Musical Quarterly. 59 (2): 328–333. doi:10.1093/mq/LIX.2.328. Retrieved 12 August 2007. ^ Nicholas Kenyon (21 February 2016). "Beethoven: Symphonies 4 & 5 CD review – Harnoncourt bows out with blazing intensity". The Observer. Retrieved 6 March 2016. ^ James R. Oestreich (2 March 2003). "Only the Best Follow His Beat". New York Times. Retrieved 13 October 2007. ^ "Matthaus-Passion BWV 244 – conducted by Nikolaus Harnoncourt". Retrieved 6 March 2016. ^ John Rockwell (17 November 1993). "Harnoncourt Gives Beethoven a Mild Jolt". New York Times. Retrieved 12 August 2007. ^ Andrew Clements (28 February 2003). "Beethoven: Piano Concertos Nos 1 -5: Aimard/Chamber Orchestra of Europe/Harnoncourt". The Guardian. Retrieved 12 August 2007. ^ Andrew Clements (2 October 2002). "Smetana: Ma Vlast". The Guardian. Retrieved 12 August 2007. ^ Andrew Clements (24 October 2003). "Bruckner Symphony No 9: Vienna Philharmonic / Harnoncourt". The Guardian. Retrieved 12 August 2007. ^ James R. Oestreich (2 January 2003). "A New Year Comes to Old Vienna". New York Times. Retrieved 12 August 2007. ^ Gotoh, Nahoko (10 August 2012). "A visually brilliant but serious Zauberflöte at the Salzburg Festival". Bachtrack Ltd. Retrieved 6 March 2016. ^ Andrew Clements (23 May 2003). "Dvorak: The Golden Spinning Wheel; The Noon Witch; The Water Goblin; The Wild Dove: Royal Concertgebouw Orchestra/ Harnoncourt". The Guardian. Retrieved 12 August 2007. ^ "Austrian conductor Nikolaus Harnoncourt dies at 86". BBC. 6 March 2016. Retrieved 6 March 2016. ^ "31 Jahre styriarte mit Nikolaus Harnoncourt" (in German). Styriarte. 2016. Retrieved 21 September 2017. ^ James R. Oestreich (20 November 1996). "Following His Fixations, Early Music to Whatever". New York Times. Retrieved 29 March 2016. ^ Klapper, Bradley; Jahn, George (6 March 2016). "Austrian Conductor Nikolaus Harnoncourt Dies at 86". ABC News. Associated Press. Retrieved 6 March 2016. ^ "Former Laureates: Nikolaus Harnoncourt 1980". Praemium Erasmianum Foundation. Retrieved 8 March 2016. ^ Ableitinger, Alfred (2002). Steiermark: die Überwindung der Peripherie (in German). Vienna: Bohlau. p. 590. ISBN 9783205992172. Retrieved 8 March 2016. ^ "Reply to a parliamentary question" (pdf) (in German). p. 802. Retrieved 12 December 2012. ^ a b c d Merk, Beate (12 May 2012). "Grußwort der Staatsministerin Dr. Beate Merk anlässlich der Verleihung des Romano Guardini Preises am 10. Mai 2012 in München" (PDF) (in German). Die Bayerische Staatsministerin der Justiz und für Verbraucherschutz Dr. Beate Merk. Archived from the original (PDF) on 8 March 2016. Retrieved 8 March 2016. ^ "Léonie Sonning Awards 1993 Nikolaus Harnoncourt". Léonie onning Music Prize. Retrieved 8 March 2016. ^ "Nikolaus Harnoncourt Laureate of the Polar Music Prize 1994". Polar Music Prize. Retrieved 8 March 2016. ^ "Die Kunstuniversität Graz trauert um ihr Ehrenmitglied Nikolaus Harnoncourt" (in German). Art University of Graz. 7 March 2016. Retrieved 8 March 2016. ^ a b c d e f "Weitere Ehrendoktorwürde für Harnoncourt" (in German). Klassik.com. Retrieved 8 March 2016. ^ "Preisträger" (in German). Schumann in Zwickau. Retrieved 8 March 2016. ^ Fuhrmann, Wolfgang (31 March 2000). "Nikolaus Harnoncourt und die Berliner Philharmoniker Wenn Bruckner ganz nach Bruckner klingt". Berliner Zeitung (in German). Retrieved 8 March 2016. ^ "Past Winners Search". Grammy. Retrieved 8 March 2016. ^ "Archiv: Hauptpreisträger" (in German). Ernst von Siemens Musikstiftung. Retrieved 8 March 2016. ^ "History". Musik Fest Bremen. Retrieved 8 March 2016. ^ "Telemann-Preis für Nikolaus Harnoncourt". MDR (in German). 14 March 2004. Retrieved 8 March 2016. ^ "Star conductor Nikolaus Harnoncourt wins Kyoto Prize". Kyocera. 10 June 2005. Retrieved 8 March 2016. ^ "Groß Gold mit Stern für Nikolaus Harnoncourt" (in German). Steiermark.at. Retrieved 8 March 2016. ^ "Bach-medaille voor dirigent Nikolaus Harnoncourt". NRC (in Dutch). 11 June 2007. Retrieved 8 March 2016. ^ "Reply to a parliamentary question" (pdf) (in German). p. 1840. Retrieved 12 December 2012. ^ "Lifetime Achievement. Pierre-Laurent Aimard pays tribute to Nikolaus Harnoncourt, a true visionary". Gramophone. Retrieved 8 March 2016. ^ "Nikolaus Harnoncourt". Royal Philharmonic Society. Retrieved 8 March 2016. ^ "Goldenes Ehrenzeichen für Alice und Nikolaus Harnoncourt" (in German). Wien.at. 30 March 2011. Retrieved 8 March 2016. ^ "Nikolaus Harnoncourt (conductor and cellist)". Gramophone. Retrieved 10 April 2012.